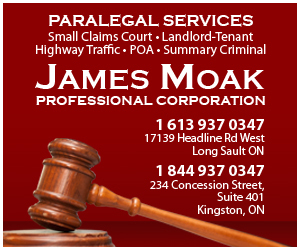 Cornwall, ON – Marc Jodoin, 44, of Cornwall was arrested on December 17th, 2018 and charged with breach of probation and breach of conditional sentence order. It is alleged the man breached his probation and conditional sentence order and an investigation ensued. On December 17th, 2018 the man was taken into custody, charged accordingly, and held for a bail hearing. Cornwall, ON – Carl Beaucage, 31, of Cornwall was arrested on December 18th, 2018 and charged with impaired operation of a motor vehicle and over 80. It is alleged during the early morning hours on December 18th, 2018, the man was operating a motor vehicle while under the influence of alcohol in the area of Walton Street and McConnell Avenue. He was taken into custody during a traffic stop, charged accordingly and released to appear in court on December 18th, 2018. There were 65 calls for service in the City of Cornwall in the last 24 hours (8 am the previous day to 8 am the day of the release).